'문경 최진일가묘 출토복식'은 2006년 경북 문경시 영순면에 있는 전주최씨 묘를 이장하는 과정에서 발견된 유물로, 현재 문경옛길박물관에 소장되어 있다. 최진(崔縝)과 그 부인의 묘, 그리고 후손으로 추정되는 묘 등 3기의 묘에서 발견된 유물은 모자, 중치막, 액주름(겨드랑이 아래 주름이 잡혀 있는 곧은 깃의 포제), 저고리, 바지 등 모두 65점이며, 이중 훼손이 심한 유물을 제외한 59점을 국가민속문화재로 지정하였다. 특히 '중치막(中致莫)'과 '족두리형 여모(女帽)'는 지금까지 발굴된 출토복식 중 가장 오래된 시기의 것으로 추정되고 있다. 중치막은 사대부가의 외출 시 착용하던 옆트임이 있는 곧은 깃의 도포(袍)로, 현재까지 발견된 것은 대부분 임진왜란 이후에 나타난 것이었으나 '문경 최진일가묘 출토복식'의 중치막의 발견으로 임진왜란 전 중치막의 실제 모습을 확인할 수 있어 이 시기 복식사 연구에 중요한 자료로 평가된다. 또한 족두리형 여모는 정수리 부분에 원형조각이 있어 족두리 초기의 형태를 보여주고 있다. 문경 최진 일가묘 출토복식은 16세기 중후반기 남녀복식사 연구의 귀중한 자료로서, 이미 지정된 '문경 평산 신씨묘 출토복식(국가민속문화재 제254호)'과 함께 당시 지역의 사회문화상을 엿볼 수 있는 열쇠를 제공하고 있다. These relics were excavated from the tombs of the Jeonju Choe Clan in Yeongsun-myeon, Mungyeong, Gyeongsangbuk-do in the course of their relocation to the Museum of Old Roads in 2006, and are now kept at the Museum. 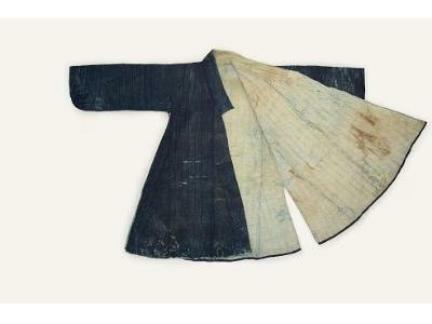 Among the sixty-five artifacts are caps, jungchimak (man’s outer coats with large sleeves), one aekjureum (inner coat), a jeogori (Korean traditional jacket), and trousers. They were excavated from three tombs which are assumed to have contained Choe Jin, his wife, and some of his descendants. Fifty-nine of the items have been designated as important folklore cultural heritages, i.e., all but the six most heavily-damaged relics. 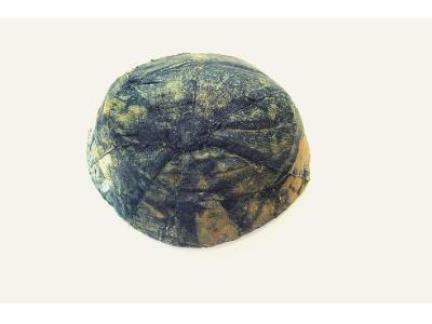 Notably, the jungchimak (a coat with side opening and straight collar worn outdoors by members of the literati class) and jokduri (ceremonial cap for women) are thought to be the oldest artifacts among all the items of clothing excavated at the site so far. Most of these relics originate from the period after the Japanese invasion of Korea in 1592; however, the discovery of a jungchimak among the clothing excavated from the tomb of Choe Jin and his family in Mungyeong enables us to understand the actual condition and appearance of jungchimak before the Japanese Invasions, making it a valuable material for the study of clothing from that period. Meanwhile, the jokduri features a circular piece on the top of the head, giving us an idea of its shape in its early period. 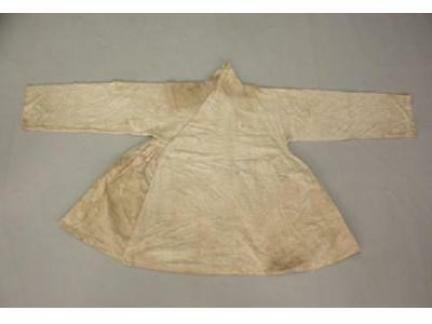 The items of clothing excavated from the tomb of Choe Jin and his family in Mungyeong are valuable materials for the study of men’s and women’s clothes in the mid and late 16th century. 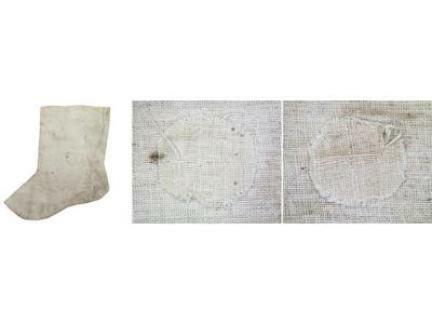 As such, they play a key role in shedding light on the regional society and culture of that time together with the Clothes Excavated from the Tomb of Lady Sin, Mungyeong (Important Folklore Cultural Heritage No. 254).